This month we would like to recognize Donovan Gordon as the latest Chick-fil-A Student of the Month Award winner. Donovan is known for his leadership and character and has been an active student and athlete over the last 4 years at Lewisburg High. He serves as the senior class president, and as a member of the national honor society, recently volunteered with the Lewisburg elementary winter wonderland, and helped with Wreaths Across America for veterans laid to rest at Arlington National Cemetery. He is a member of the English honor society, beta club, Mu alpha theta, interact club, and is the vice president of the Spanish honor society. We spoke with Senora Davis about Donovan’s character both in and out of the classroom. 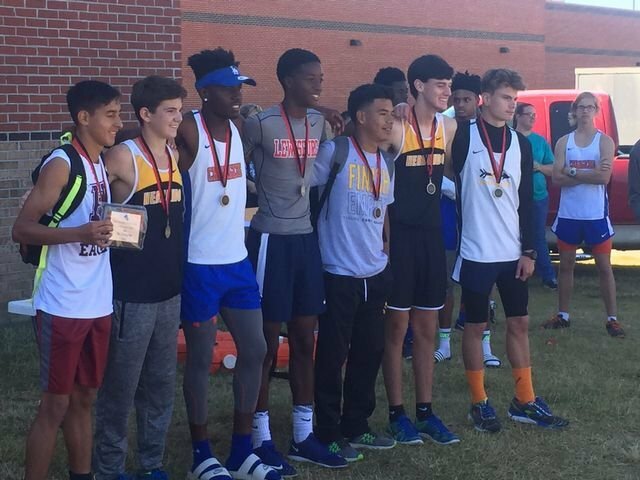 Donovan not only excels academically, but has been a standout on the cross country team, where he once again advanced to the state finals, He was a wide receiver on the varsity football team, and is looking forward to another successful season on the LHS track team. Congratulations, Donovan, and thanks to Chick-fil-A of olive branch for sponsoring Lewisburg’s student of the month award.